Dress up your space with this warm chandelier featuring five opal glass shades and rich antique brass finish. 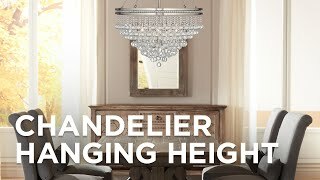 Inviting and warm, this chandelier adds instant sophistication to dining areas, foyers, living rooms, and more. Spiraling, curved arms finished in antique brass support five opal glass shades that provide ambient illumination when lit. Accented with clear glass accents for an added touch of elegance and shine. 26" wide x 25 1/2" high. Canopy is 5 1/8" wide. Hang weight is 15 lbs. Uses five maximum 60 watt standard-medium base A15-type bulbs (not included). Ovanda five-light chandelier from the Possini Euro Design® line. Antique brass finish with clear glass accents. Opal glass shades. Goes well with my dining room - traditional yet modern. It’s beautiful. Hopefully it looks as good in person. This is my second purchase from Lamps Plus. I was thrilled with my first purchase, a lamp shade. 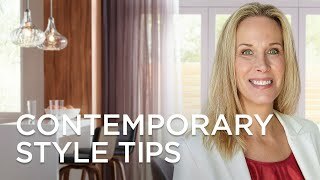 It seems as if LampsPlus has a much better selection than elsewhere, which is great for someone like myself who likes to have "different" things. The site's interface is excellent as well. Can't wait for this gorgeous chandelier to arrive and ready to make more purchases! Fixture looks beautiful in picture. Love style and color. Hope it is just as nice when I get it. Is the antique brass finish more pink or gold? BEST ANSWER: Hi! It has a more pinkish color but I absolutely love it! The size of this chandelier is what we are looking for and we want gold tones, but this looks very rose-gold in the photo. is that accurate? Would you say it is rose gold? BEST ANSWER: No, it’s not rose gold. It’s a warm brushed gold. By warm brushed gold, I mean that it’s not the light yellow shiny finish from the 1980s. This finished is brushed, so it’s not the old-fashioned, shiny finish and it’s not the old-fashioned, aged gold look. I think perhaps it leans just ever so slightly more towards the rose than the old finishes do, but it’s just enough to make it feel a little warmer and richer. It is definitely still gold, NOT rose gold. It’s a more up-to-date look and in line with other gold finishes in the home furnishings market today. I’m very happy with it. 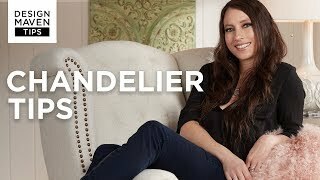 does this chandelier come in a smaller size example four lights? BEST ANSWER: Hi - I am sorry, the Ovanda Collection does not offer a smaller option. 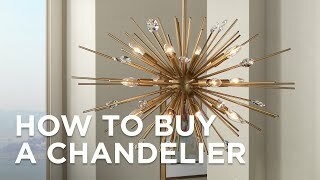 I'm looking for a gold tone chandelier, but not a shinny gold? exactly what is the gold tone of this one?? BEST ANSWER: We love this chandelier! It is not a matte finish. It is shiny, but not like bright. The gold is somewhat subdued, understated and beautiful . I can send a pic if you give me your email address. I was very happy when I opened the box. The finish is more of a brushed gold. Just beautiful, and exactly like the picture. Can this light be used on a ceiling fan? BEST ANSWER: Hi Lisa - no it cannot. But, I have added a link below to your options of ceiling fan light kits. No, this is a full-sized chandeleir. it cannot be attached to a ceiling fan. Looking for something simple like this but about 30” in gold/tone. Can you suggest? BEST ANSWER: Hi, we do not have something similar to this design in a 30". I have included something close that measures 28" wide. 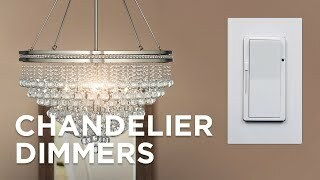 Do you have matching wall sconces? Can the 6ft chain be shortened? If so how short can you make it? BEST ANSWER: The 6'ft of chain can be adjusted to desired length. At least 2 links are required for installation. Yes, it can be shortened. I am not sure how short though. The Lamps Plus installer was able to shortened to fit perfectly over my dining room table. Yes. Use as many links as you need. What wall lamps are pictured with this chandelier in the picture (next to fireplace)? BEST ANSWER: I have included the wall sconce pictured. This is beautiful. 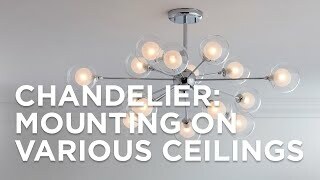 I need a similar ceiling light to use along with this chandelier. Any recommendations? BEST ANSWER: Please feel free to contact one of our lighting specialists who can assist you with choosing coordinating lights. 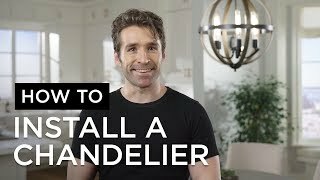 Does this chandelier come in a smaller size? BEST ANSWER: I'm sorry, the beautiful Ovanda is not available in any other sizes. Do you need to do anything to maintain the finish of the antique brass? BEST ANSWER: You do not need any special products to maintain the finish. Some of our customers have enjoyed using a chandelier cleaner but regular dusting and a mile household cleaner like Windex works just fine. 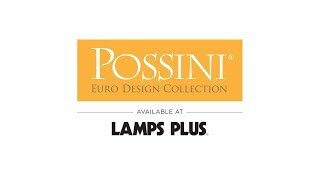 Does Possini make plug in wall lamps? BEST ANSWER: Yes, this chandelier can indeed be used with a dimmer switch. Yes, an electrician installed mine and it works beautifully. Love the look when the dimmer is low. Good luck. I installed a dimmer switch for my chandelier. I purchased a switch that is compatible with L.E.D. bulbs. Yes, but it has to be a dimmer that is compatible with LEDs if you are using LEDs. I love my new chandelier!! I received it in good time and in good condition. So thank you. Low quality. Attachment of light holding arms is uneven causing lights to be off at an angle. Looks cheap. Very fast delivery and well packaged. Will buy from here again for sure. Shipping was timely and the chandelier looks beautiful in my room. I love the light and airy contemporary feel while blending in with the traditional aspects of my dining room. Beautiful beautiful I will recommend this product to anyone at any time. This light is just as gorgeous in person as it is on the site! I am very pleased! I purchased this open box and received a fixture well-packaged in perfect condition, but it did take 2 weeks to get here. The fixture is beautiful and a big upgrade from what the previous owners of my place left behind, Well worth the trouble of changing. 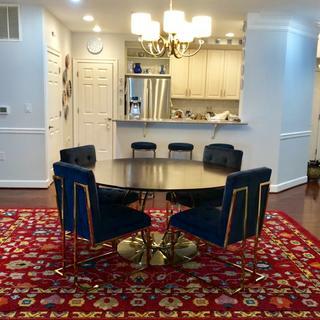 A nice complement to my dining table that has a curvy brass colored base. Everyone says nice things about it, I’m happy I chose it. A unique design, well crafted, and provides ample lighting. 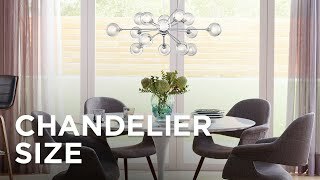 Cleantubular supports dart from a center orb on this mid-Century modern brass 24-light adjustable chandelier.